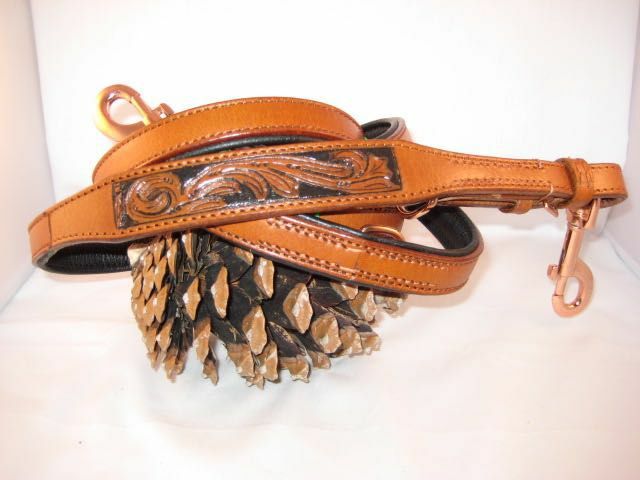 A beautiful handmade saddle leather dog leash lined with soft leather, very nicely decorated. 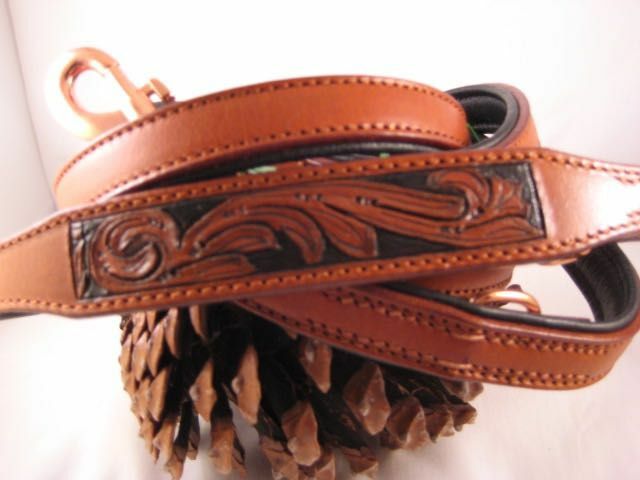 This dog leash is beautifully hand made from saddle leather and lined with soft calfskin. The leash can be used as a training fine line because the leash is equipped with two snap hooks. Also this dog leash can be 3 times adjusted. The top of this leash is made of a cognac colour with beautiful decorations. The inside is lined with calf leather in dark blue. The leash is 18 mm wide and 200 cm long.